The Perfect Palette: Best Blog by An Industry Expert! 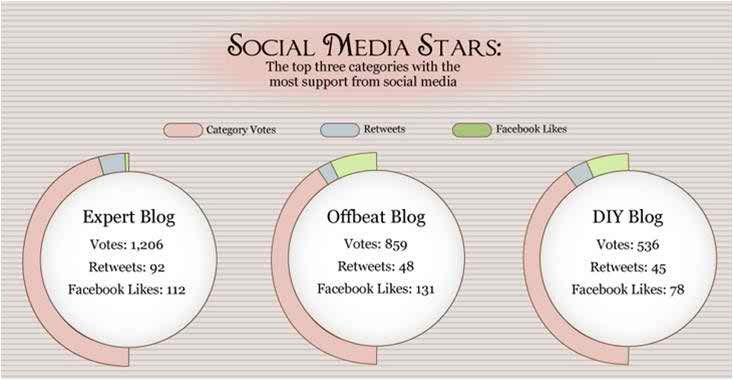 Here recently we received great news from onewed.com that The Perfect Palette had been voted as one of the top 8 wedding blogs in 2011 and that we had actually won the title of "Best Blog by An Industry Expert!" Wow! I can’t begin to tell you how incredibly honored I feel. I mean, let's face it, there are so many inspiring wedding blogs out there nowadays! And so many of them are written by industry experts that I look up to and admire. So to be given this award is pretty special! The Perfect Palette won the title of “Best Blog by An Industry Expert” A category that included other inspiring blogs such as... Southern Weddings, Kiss the Groom, Rice Ink, Every Last Detail, 100 Layer Cake, Elizabeth Dye, Cynthia Martyn Events, Sparkliatti, The Bridal Bar, SWOONOVERIT, Wishpot, EllyB Events, and Adventures in Wedding Planning. All lovely blogs that I encourage you to check out! A BIG Congrats to all the other winners! And a BIG thanks to all of you! I seriously heart each and every one of you! And to be honest...I was completely floored by the statistics below that show that we actually received the most votes overall in the most competitive category! Whoa nelly! I'm seriously feeling the love! Social media really is an incredible thing! Thanks for staying connected and supporting The Perfect Palette in everything we do! If you're on Facebook and we're not friends already- let's change that! Click here to like us and stay current with wedding color palette trends. Oh, and if you're on twitter, follow me here! I'll do my best to feed your daily color fixes! Being presented this award really is an honor. It just goes to show that I have some super sweet and loyal readers! Thanks again for thinking so highly of me and the inspiration I'm dedicated to sharing with you all! See if your favorite bloggers topped this year's list and find out who you should be reading if you aren't already. 9 Comments " The Perfect Palette: Best Blog by An Industry Expert! " Congrats, Chrissy! You so deserve this! Love Your site!! xoxo, Jenna! Love your site! You definitely deserve this title! You are my favorite expert! Congrats, Girl! I'm a huge fan! Been so for years now! A Big Congrats to you! Love your site and all your ideas. Wow, you rock! You really are the best expert!